Smaller military budgets and delays in putting GPV 2018-2025 into place will apparently trickle down into reduced orders for Russia’s defense-industrial complex (OPK) in coming years. According to TASS on June 15, Deputy Chief of the Main Armaments Directorate Boris Nakonechnyy said the MOD can’t fully “load” OPK enterprises with orders during the next GPV. “As the primary customer for weapons and military equipment, the Defense Ministry can’t fully support the work of enterprises,” he told the news agency. 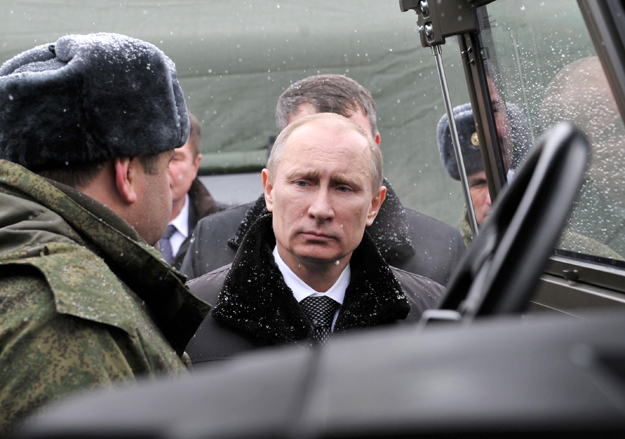 There may be some reduction in defense orders during the new arms program, Nakonechnyy said. But he indicated the MOD would still support the scientific work (presumably the RDT&E) of Russian defense-industrial enterprises. Nakonechnyy said the MOD doesn’t expect global military threats to decline, but it’s not possible to increase substantially the funding needed to counter them. At the same time, he emphasized it’s important for Russia not to lose the current tempo of development in its OPK, and not to allow itself to lag behind world leaders in military technology. TASS provided no context for Nakonechnyy’s comments. Other media outlets ran the TASS story as is. Utro.ru, however, provided its own interpretation of his remarks. While perhaps somewhat alarmist, Utro writer Andrey Sherykhanov puts Nakonechnyy’s statements in the context of the continuing battle between the defense and finance ministries over future military spending. Sherykhanov recalls the recent Vedomosti report putting likely appropriations for GPV 2018-2025 at 17 trillion rubles, three times less than the original MOD request. The peak of defense orders, he concludes, is already past. The military will have no orders for production enterprises, which will close and send their workers on indefinite furlough as they did in the 1990s, he writes. But maybe, Sherykhanov opines, this won’t be necessary since President Putin has said the OPK’s potential should be harnessed to the needs of cutting-edge, science-intensive sectors like medicine, energy, aviation, space, and information technology. Last year the Supreme CINC himself said 30 percent of OPK production has to be for the civilian market by 2025, and 50 percent by 2030. Massive state defense-industrial holding company Rostekh has already announced that half of its output will be civilian by 2025. It took a brave man to tell the State Duma what department chief Aleksandr Piskunov said in the Audit Chamber’s annual legislative report in February. Voyenno-promyshlennyy kuryer published excerpts of his remarks. Piskunov’s a government official. Not a powerful voice, but an authoritative one in his specialty. To say he’s well-equipped for his work is an understatement. Sixty-one or 62 years old, Piskunov graduated from the RVSN’s Dzherzhinskiy Military Academy with a radio engineering degree. He served on active duty to the rank of general-major, spending many years at the Plesetsk cosmodrome. He later trained in the RF Government’s Financial Academy and a business school in London. He has a PhD in economics. 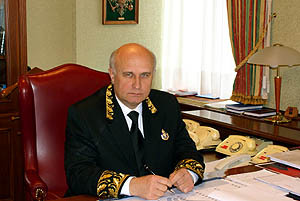 Piskunov served in both the RSFSR Supreme Soviet and State Duma in the early 1990s, and was deputy chairman of the Defense Committee for each body. He also chaired the Defense Ministry’s Military-Technical Policy Committee. In the mid-1990s, he moved to the staff (apparat) of the RF Government and was deputy chairman of its Committee on Military-Industrial Issues. 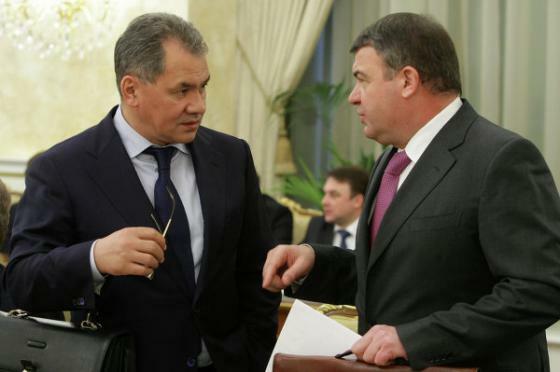 He returned to the Duma briefly in 1999, and became deputy chairman of its “Regions of Russia” faction. He went to the Audit Chamber in 2001, and is currently in his third term of service. Piskunov thinks Russia can’t produce new, better, or more weapons and military equipment without modernizing its badly neglected defense industrial base. But he has pretty much nothing but scorn for the current management of the state defense order. And he sees little but failure in the GPV over the last 20 years. In particular, Piskunov calls for incorporating life cycle costs into the GPV. Ultimately, however, he says auditors and accountants can’t fix the GOZ or GPV, but lawmakers could. Enough preamble. Here’s VPK’s excerpt of Piskunov’s remarks.